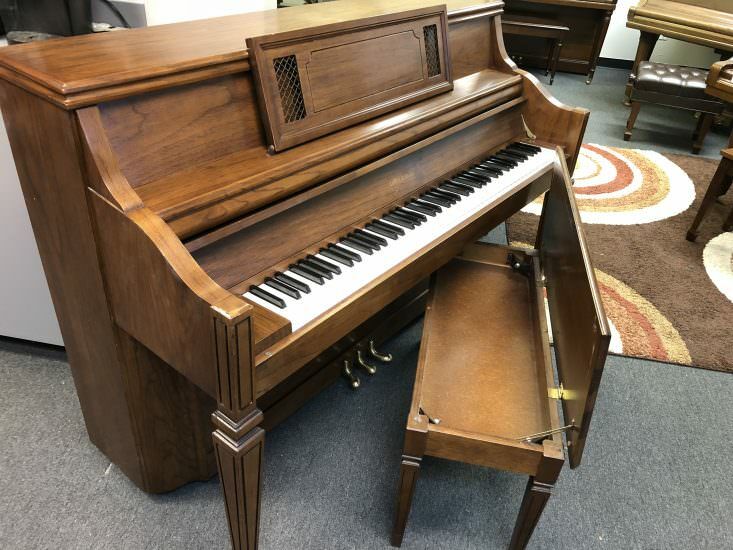 Charles Walter, an engineer, was head of Piano Design and Developmental Engineering at C.G. 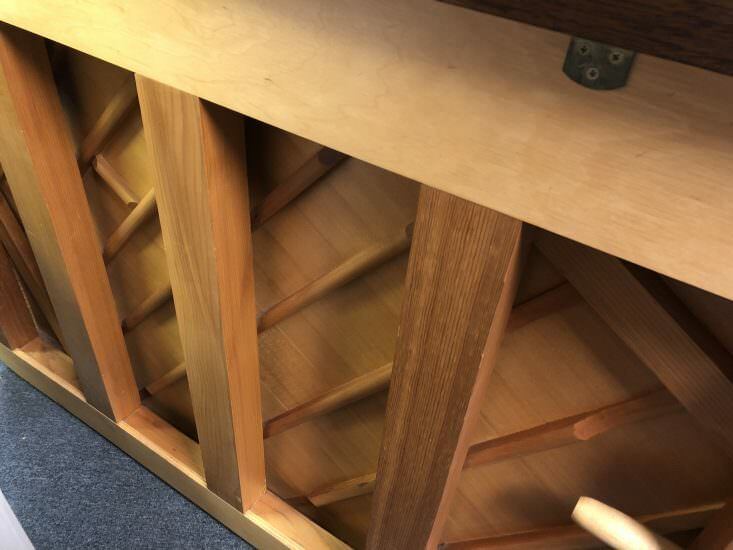 Conn in the 1960s, when Conn was doing important research in musical acoustics. 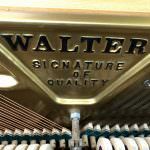 In 1969 Walter bought the Janssen piano name from Conn, and continued to make Janssen pianos until 1981. 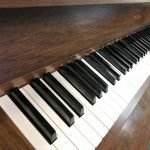 In 1975 he brought out the Charles R. Walter line of consoles and studios, based on his continuing research in piano design. 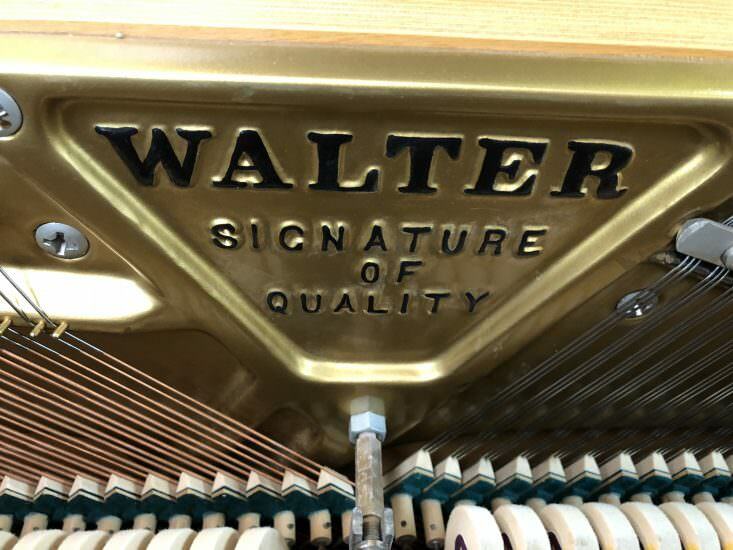 Walter began making grands in 1997. 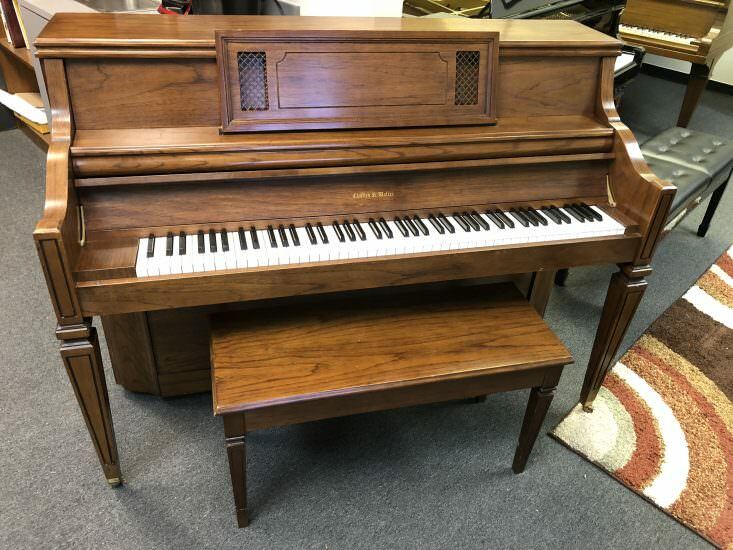 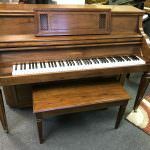 The Walter Piano Company is fairly unique among U.S. piano manufacturers in that it is a family business, staffed by Charles and his wife, several of their grownup children, and various in-laws, in addition to unrelated production employees. 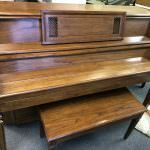 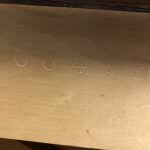 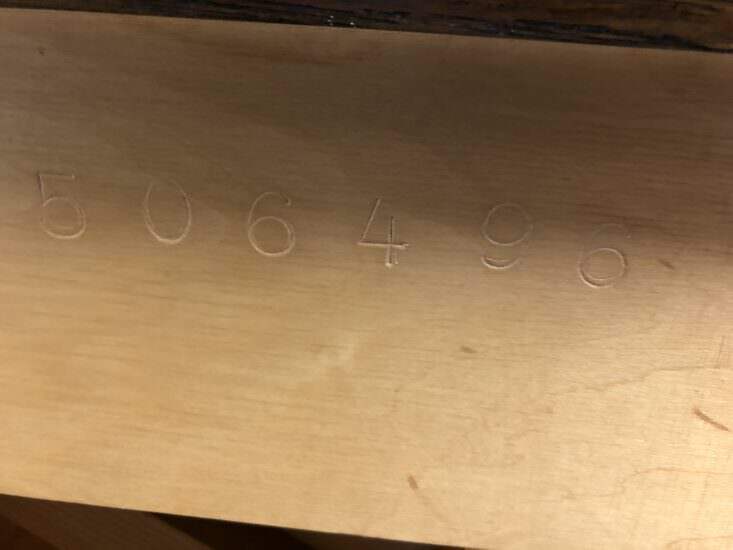 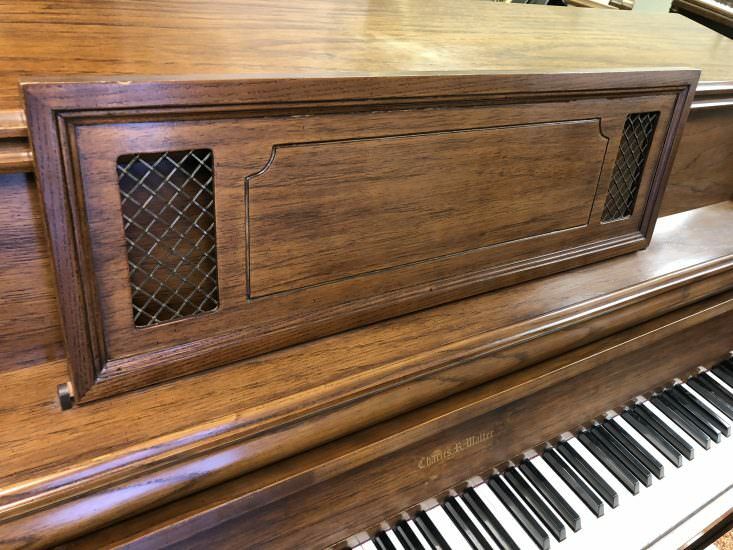 The Walters say that each piano is inspected and signed by a member of their family before being shipped. 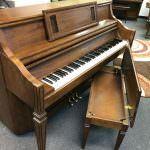 Dealers and technicians report that doing business with the Walters is a pleasure in itself. 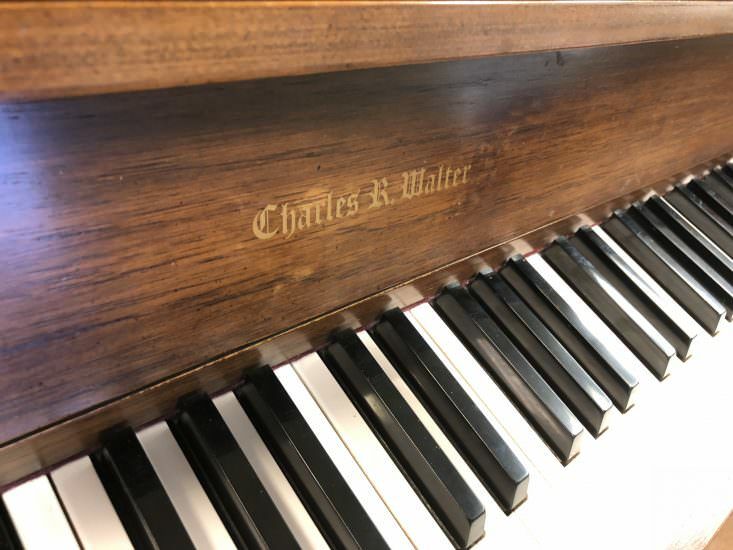 The Charles R. Walter line consists of 43″ and 45″ studio pianos in various decorator and institutional styles, and 5′ 9″ and 6′ 4″ grands. 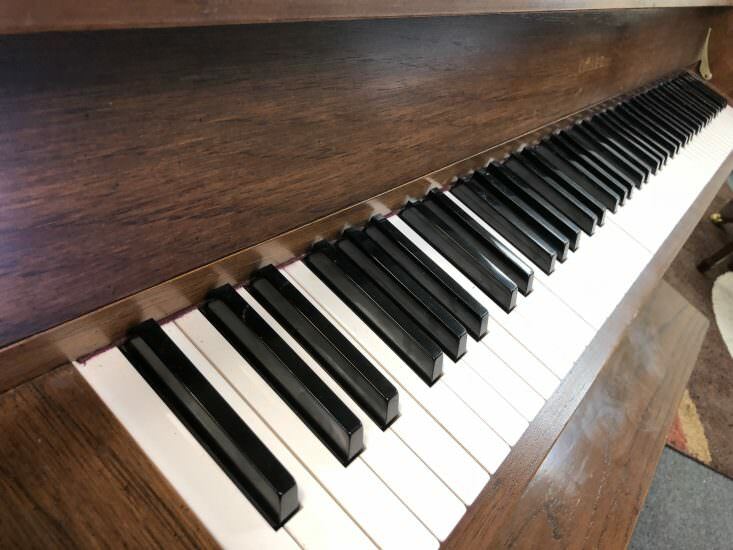 Note that both vertical models have full-size actions and therefore are studio pianos, not consoles, as I define those terms. 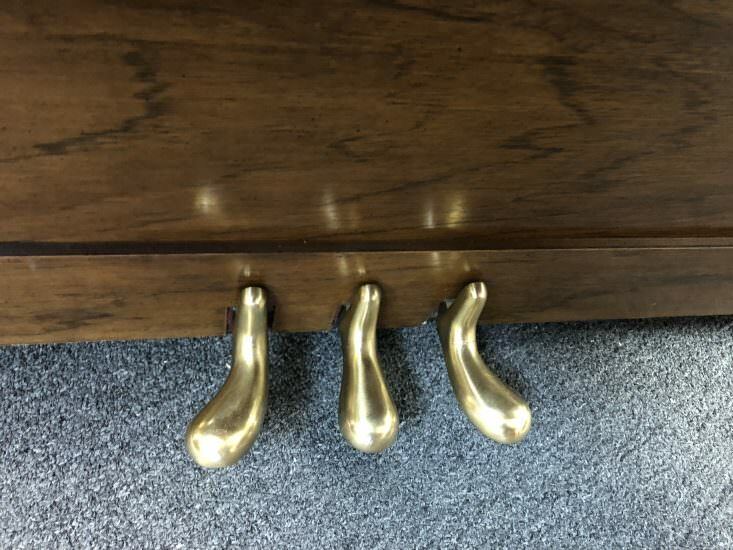 In fact, they are identical pianos inside different cabinets. 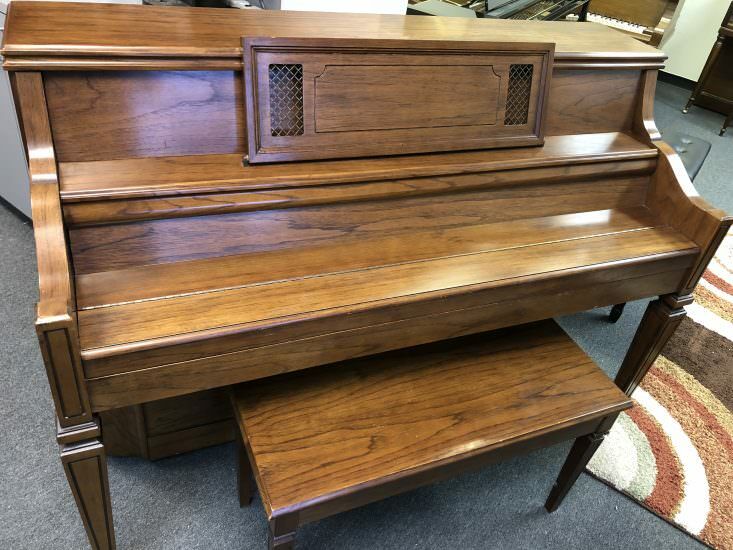 Walter calls the 43” model a console because of its furniture styling, but due to its larger action, it will outplay most real consoles on the market. 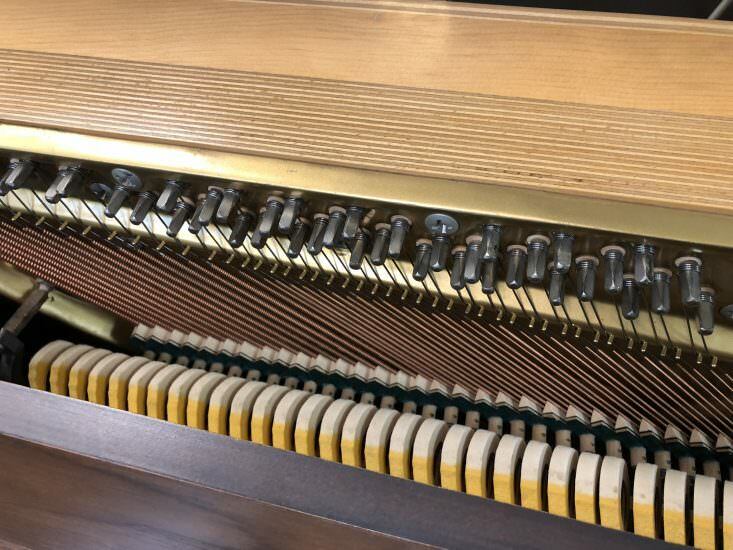 Although Mr. Walter is not oblivious to marketing concerns, his vertical piano bears the mark of being designed by an engineer who understands pianos and strives for quality. 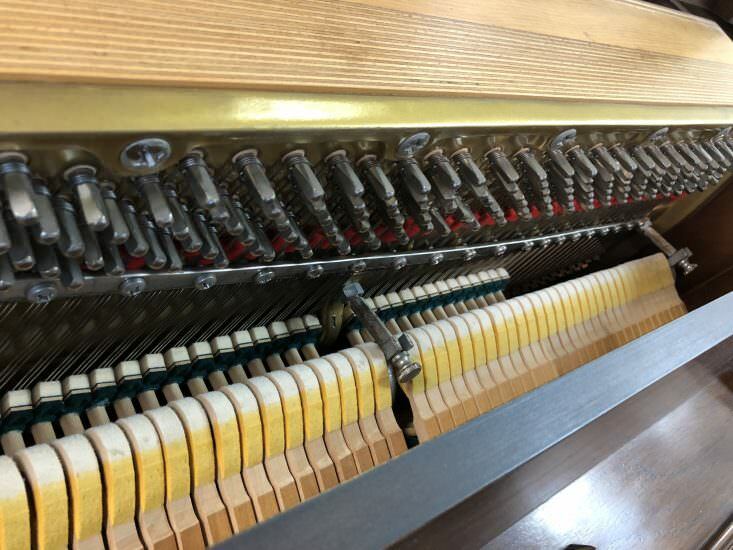 The pianos are built in a traditional manner, with heavy-duty, full-length spruce backposts; a solid spruce soundboard; and Delignit pinblock. 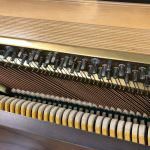 Exceptionally long, thick keys that are individually lead-weighted provide a very even feel across the keyboard. 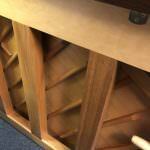 The scale design is well thought out and the bass sounds good most of the way to the bottom. 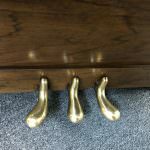 The cabinetry is substantial, contains no particleboard, and is beautifully finished. 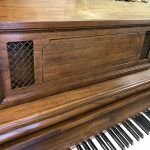 Some of the fancy consoles in particular, such as the Queen Anne models, are strikingly beautiful. 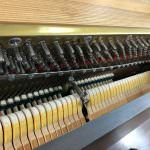 The pianos are well prepared at the factory and so need minimal preparation by the dealer.